US Foundation Repair continues to offer the highest quality of service to its customers throughout the Houston area. 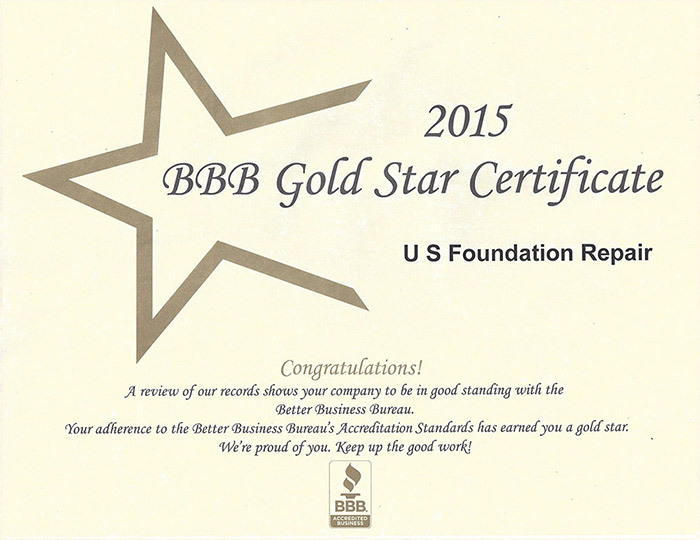 The company’s dedication to its customers has been recognized with a Gold Star Rating from the Better Business Bureau in both 2014 and 2015. This award highlights businesses that put their customers first and provide the best services in their field. Those in Houston and the surrounding areas can turn to US Foundation Repair for diligent care, a superb warranty to guarantee our company’s work, and personalized attention to every task that has earned the respect of many clients throughout the years. Every customer is important to us, and we’ve provided excellent care to homes throughout Houston for over 25 years. We’ve been accredited by the Better Business Bureau since 1990, promising a dedication to our customers and improving based on their feedback. 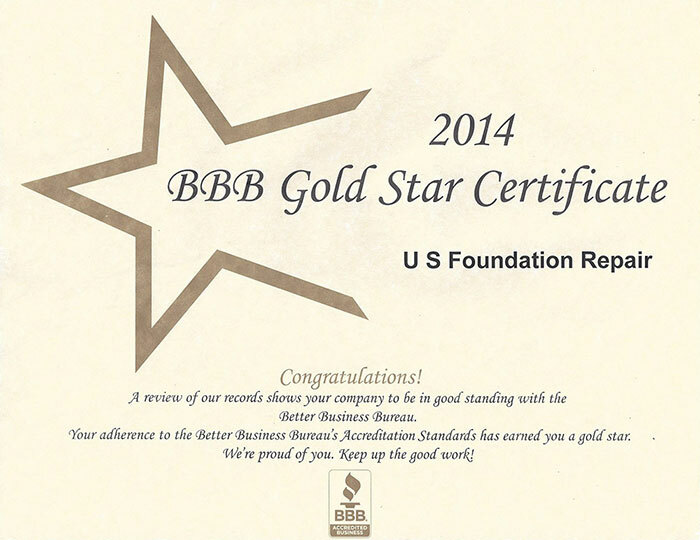 The BBB distinguishes businesses that have provided outstanding customer service and have made “a good faith effort to resolve any customer complaints.” We want every customer to feel satisfied, confident, and impressed with our foundation repair work, and we will work tirelessly to ensure that this is the case.